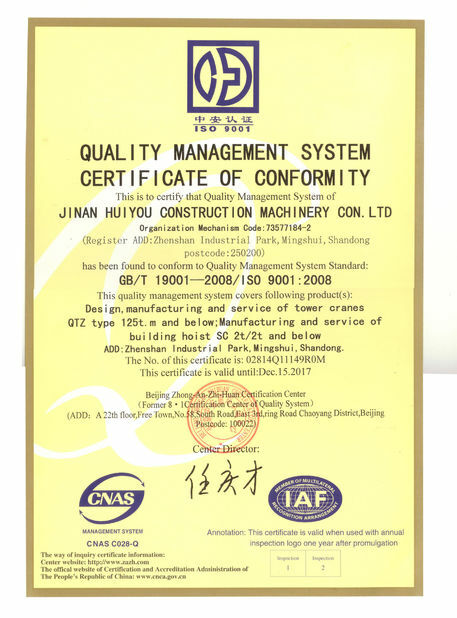 QTZ80(5015) Tower Crane, Construction Tools which performance parameters and the technical indicators are at or better than the national standard. 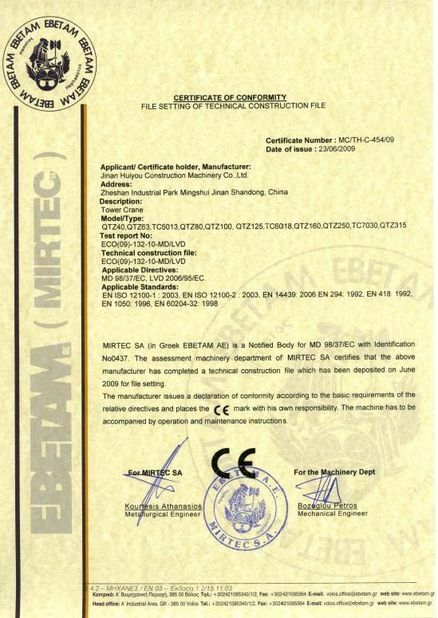 Maximum operating margin is 50 m, Max lift capacity is 8 tons, max. 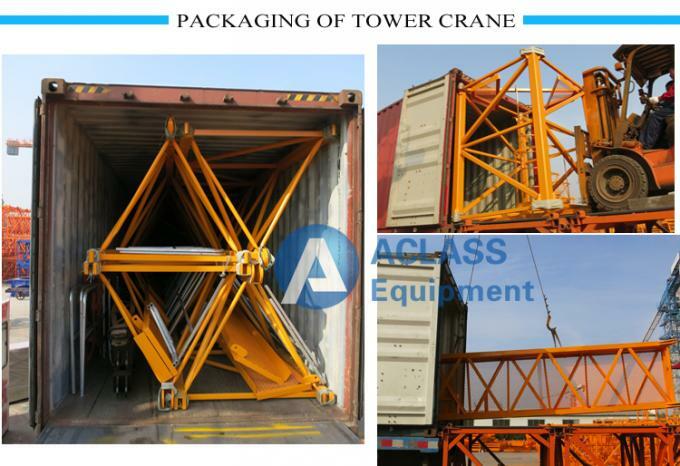 height can be 150 m and lifting torque rated is 800 kN • m.
Making full use of technology, combined design technology and finite element analysis technology, "tower crane computer design platform" as a tool for the design of the latest version of lifting domestic transport machinery. This crane is Boom level jib, trolley, rotary hydraulic internal climbing jacking crane which save the freight cost by using less mast sections. 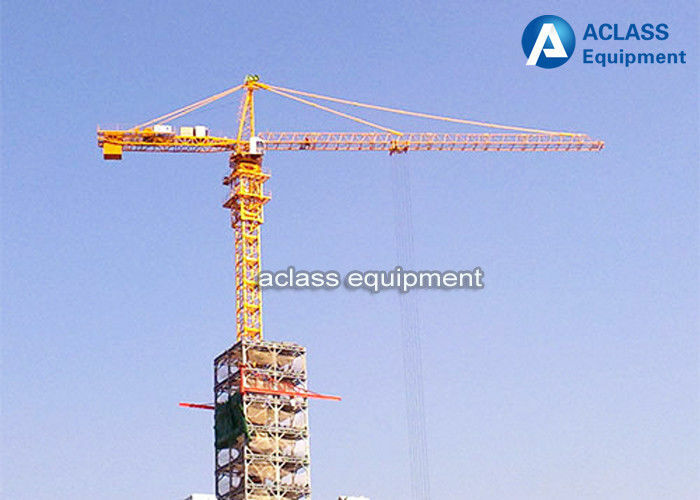 ACLASS QTZ series of tower cranes, ranging from QTZ25 to QTZ500 (Max Load=2.5T-25T). With working radius varying from 25m to 80m, QTZ tower cranes are famous for their large operating ranges, varied working methods and wide uses. 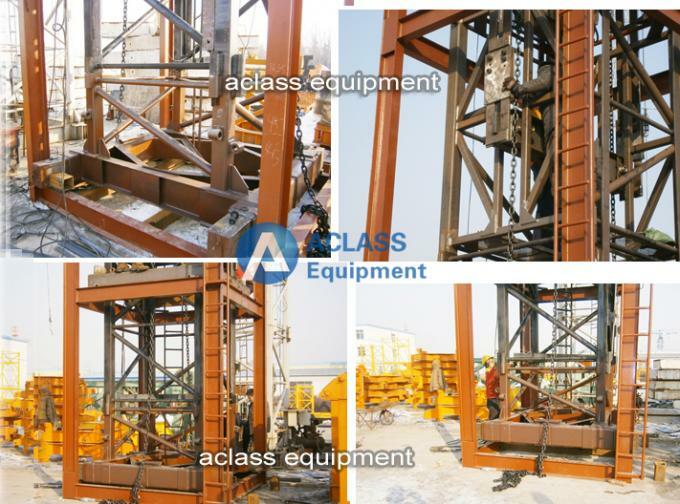 Equipped with all necessary safety devices, these cranes show a good speed-control capacity, high work efficiency and satisfactory operating stability. QTZ tower cranes can be widely used on the construction of high-rise buildings, industrial buildings, as well as cooling tower. Our products are with high price-quality ratio and competitive price for you to choose. If you have any other inquires, please feel free to contact us! Welcome to contact us directly and we are ready to support you with ACLASS service!